Shirley Firth-Larsson was a product of a pioneering program to introduce skiing to Canada's North. Shirley and her sister, Sharon, dominated the Canadian women’s cross country skiing scene for many years. 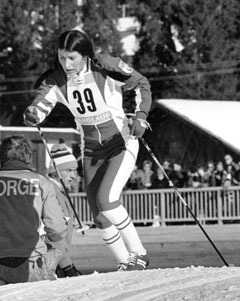 They were among the first Aboriginal women to compete in various international cross country ski competitions including four world ski championships. 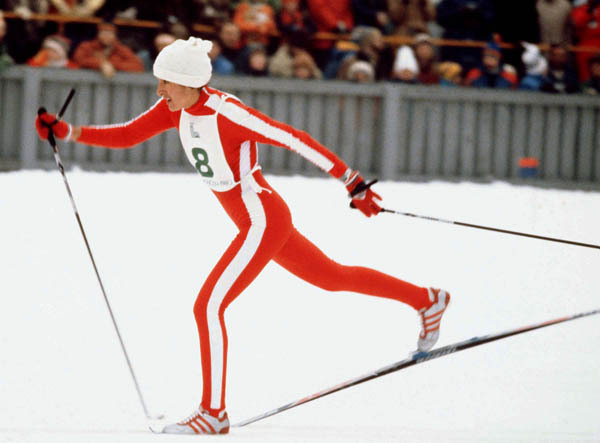 From 1972 to 1984 Shirley & Sharon represented Canada in four consecutive Winter Olympics; a streak only equaled by speed skating legend Gaetan Boucher. Their determination and grit throughout the years has left an inspiring note for all of those in the Northwest Territories and beyond. 2002 CBC Documentary "The Firth Sisters From the Tundra"